I wish it wasn’t true…but it is. I have a problem with portion control. If you put a put a large amount of something delicious in front of me, chances are, I’m likely going back for seconds. Especially if that something delicious is oozing chocolate… or brûléed… or topped with salted caramel. You get the point. 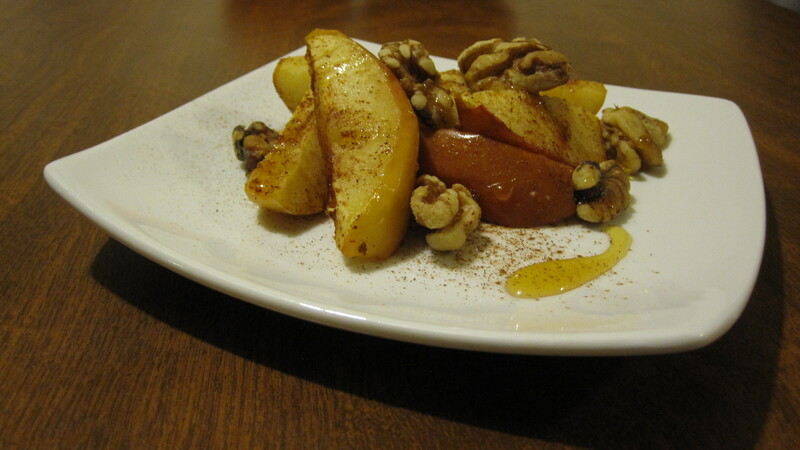 Lately, in an attempt to satisfy my sweet tooth and monitor my portion size, I’ve been cooking up a simple baked apple dish that can be served as a dessert or eaten as a late night study snack. It’s also easy and quick to put together, which is good because no one has lots of time to waste on preparing a one-portion serving. 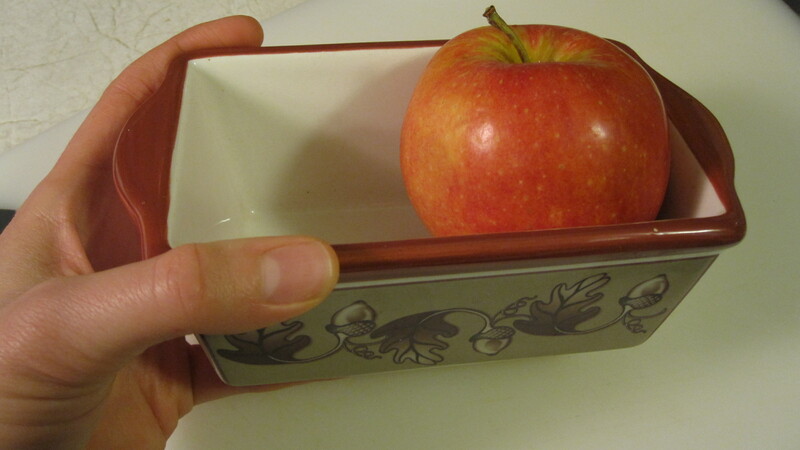 You can use any oven safe bowl, dish, or ramekin to cook your apples. I have a teeny tiny loaf pan that can be tossed into the dishwasher afterwards. 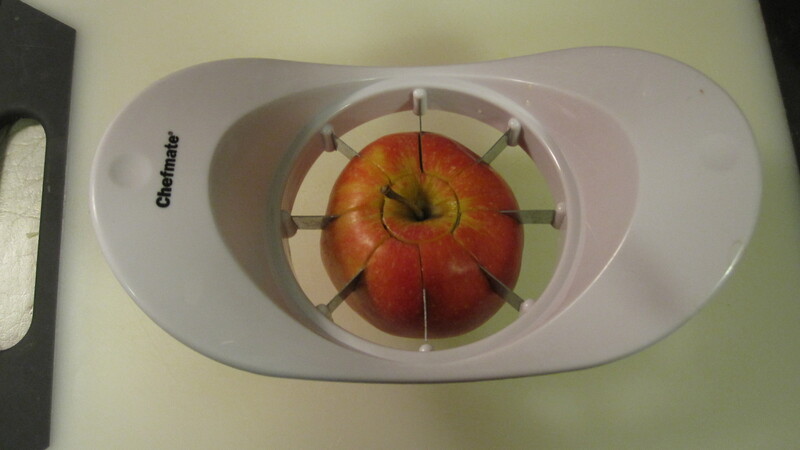 I also use an apple slicer, which saves me time slicing and coring the apply with a knife. So quick! So easy! 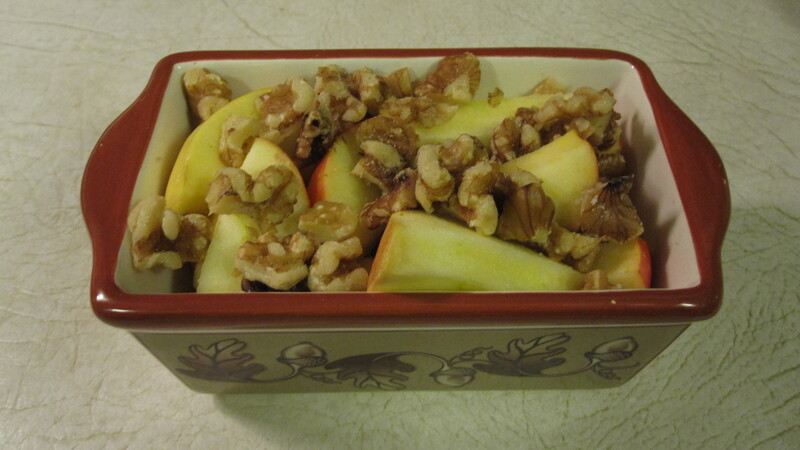 Pile the apple slices into your oven safe dish and top with the nuts. I like to put a small slice of butter on top so it melts over the apples. Then, sprinkle the mixture with cinnamon. If you already have your oven on for dinner, simply place the dish in the oven and let it cook for about 20 to 30 minutes depending on the temperature. 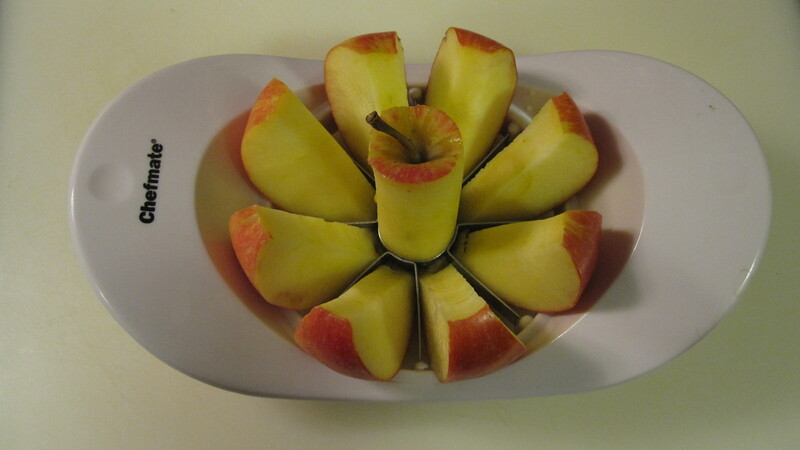 I aim for roughly 25 minutes at 350 degrees, but you can easily adjust this depending on the oven temperate and your preference for the softness of the baked apples. 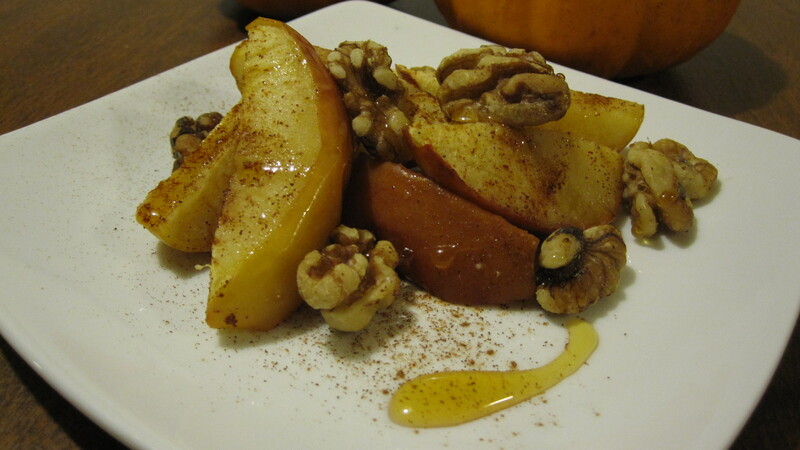 Once the apples are cooked to your liking, drizzle them with a bit of honey and enjoy! Yum, this looks great! I’m going to have to try this! MMM… it looks so good, sometimes I microwave mine, not as good, but WAY faster! Have you tried Agave syrup for a sweetener? As lazy as I am, I don’t own a microwave!! It sure would save time though. I’ve dabbled a bit with agave, but I still love my honey and maple syrup! What a great dessert without being too indulgent! It sure is! I’ve got to satisfy my love of dessert somehow!